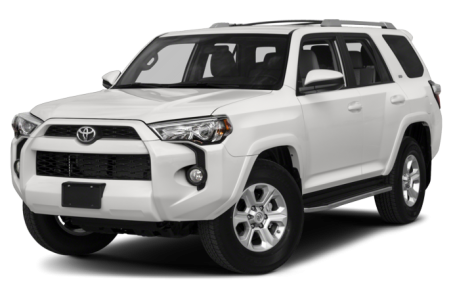 The 2019 Toyota 4Runner is a mid-size SUV that seats five passengers. It competes with the Ford Flex, Mazda CX-9, and Jeep Grand Cherokee. It is powered by a standard 270-hp, 4.0-liter V-6 engine mated to a five-speed automatic transmission. Rear-wheel drive comes standard, while four-wheel drive (4WD) is available. Seven trims are available: the base SR5, SR5 Premium, TRD Off Road, TRD Off Road Premium, Limited, TRD Pro, and Limited Nightshade. The TRD trim levels only come with 4WD.